Origin and Habitat: Garden origin. Selected form. 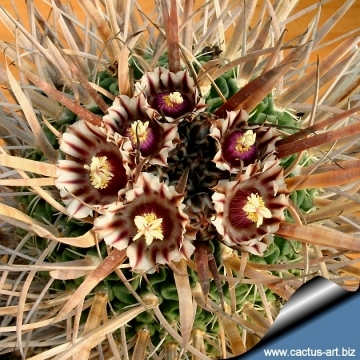 Description: Stenocactus longispinus (best known as Echinofossulucactus longispinus), is an unpublished name (nomen nudum) used by some seeds collectors and succulent traders to indicate a long spined form of Stenocactus may be a form of Stenocactus crispatus or Stenocactus multicostatum). 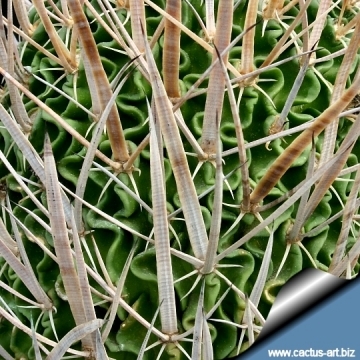 This plant has not been officially described, because the habitat is not known exactly. 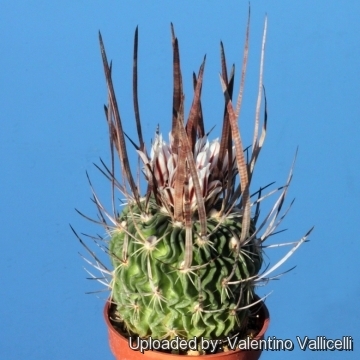 The plants labelled Stenocactus longispinus found in cultivation are supposed to be descendent of the plants described by Pechanek in 1939, but the same name has been again and again used to indicate any long spined stenocactus of dubious provenance, creating a taxonomic nightmare. 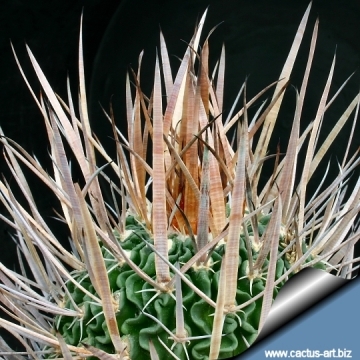 Habit: It is a solitary plant , up to 20 cm tall, 10 cm wide with long spines and wavy ribs. 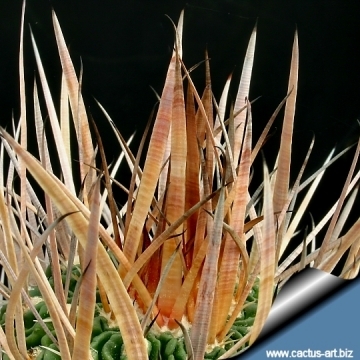 This is one of the echinofossulocactus with the prettiest spination, spine are acicular (or slightly flattened ), with about 4 long (from 3 to 5 cm long) yellow central spine, the radial spines are glassy white. The ribs are thin slightly undulated with curled ridges. 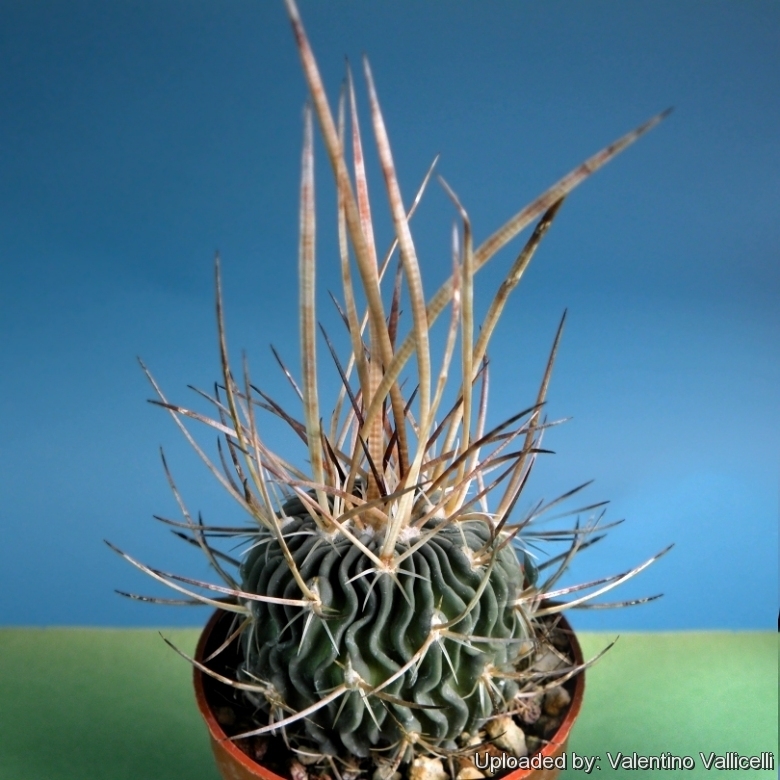 Note: Recently Petr ?esal has collected a Stenocactus longispinus (Field number PC13) near La Soledad in Nuevo León, Mexico. 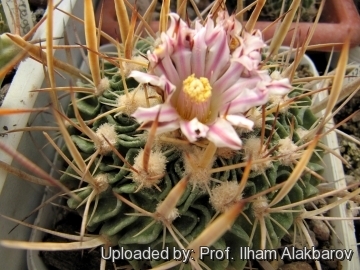 Is it the same plant described by by Pechanek. 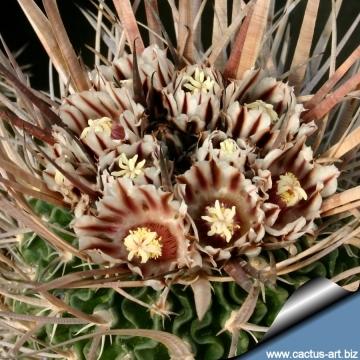 Notes: Identifying the species of a Stenocactus (Echinofossulocactus) is as difficult as identifying the genus is easy. For the most part, they tend to look alike, and there are far more names than there are species. 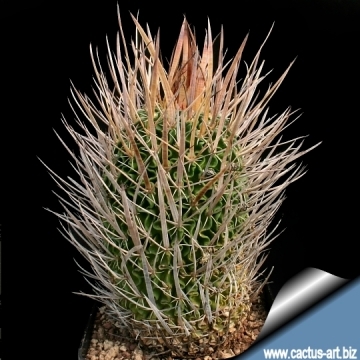 Cultivation and Propagation: Stenocactus crispatus f. longispinus is easy to to care cactus, recommended for any collection that needs lots of light with ample airflow.